Tra Maggio e Agosto i venti soffiano da nord, mentre in settembre, ottobre e aprile ci sono venti meridionali che continuano a soffiare principalmente tra le 14.00 -19.00 del pomeriggio. Ci sono molte belle isole da vedere e da esplorare con paesaggi lussureggianti e di interesse storico, baie tranquille e riparate, porti con taverne locali dove si può ormeggiare per la notte. Possiamo così provare il cibo locale, esplorare e sperimentare un pò di atmosfera delle isole prima di salpare nuovamente per il nostro prossimo scalo nell’isola ionica. Iniziamo un giro dell’isola di Corfù, anche se siamo in grado di decidere diversi percorsi di navigazione, Lasciato il villaggio di Corfù, la prossima tappa da raggiungere può essere il villaggio Limni, ancoraggio nella baia e muoversi poi verso la parte nord orientale dell’isola. Kassiopi può essere un bel posto dove fermarsi a causa della sua vita sociale estiva. Navigando verso ovest c’è un luogo chiamato Agios Stefanos, una bella base in cui issare le vele per le isole di Mathraki, Othoni e Erikoussa. Ora possiamo scendere lungo la costa occidentale di Corfù e visitare Paleokastritsa, il luogo è stato a lungo considerato uno dei borghi più belli a Corfù ed è un luogo di rinomata bellezza greca. soprattutto dal villaggio di Lakones.Proseguendo verso sud si passer‡ vicino al lago di Korission, la pi˘ grande laguna di Corfù, parte di una riserva naturale con dune di sabbia, spiagge selvagge uniche, diverse specie di piante e di uccelli. E siamo nella parte sud dell’isola, da lì c’è la possibilità di visitare le isole di Paxos e Antipaxo. La parte sud-orientale del sito comprende Molos prima e Petriti poi, piccoli villaggi. Stiamo tornando a Corfù villaggio, da dove abbiamo iniziato il nostro giro d’esempio, sulla strada andando ci sono diversi luogo in cui si può fermare e che non sono descritti qui ma visitabili dalle nostre barche. Between May and August the winds blow from the north, whereas in September, October and April there are southern winds which continue blowing mainly between 14.00 ñ 19.00 hrs in the afternoon. 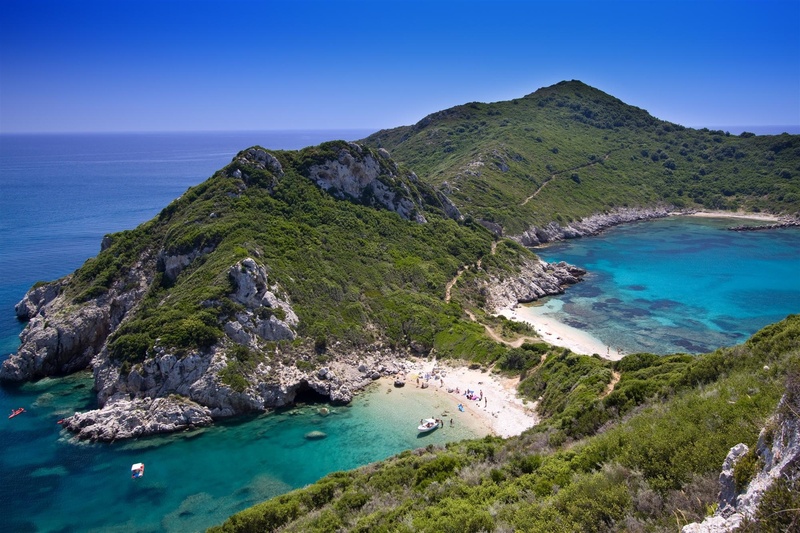 There are many beautiful Islands to see and explore with lush scenery, and historic interest, calm sheltered bays and sheltered harbours with local tavernas where we can moor for the night. We can sample the local food, explore and experience a little of the islands atmosphere before we set sail again for our next delightful Ionian Island. Let’s start a tour of the island even if we can decide different sailing routes, we can start with the next stop after leavin the village of corf˘. We can sail to Limni village anchoring in the bay and than move to the north to see the north eastern part of the island. Kassiopi can by a nice place to stop because of its summer social centre. Moving to west there is a place called Agios Stefanos, a nice base where set the sails for the islands of Mathraki, Othoni e Erikoussa. 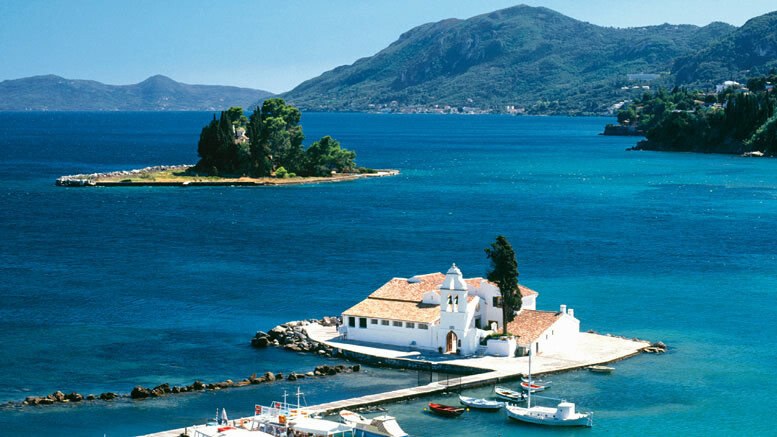 We can now descending to the west coast of Corf˘ visiting Paleokastritsa, it has long been considered one of the most beautiful villages in Corfu and is a renowned Greek beauty spot. 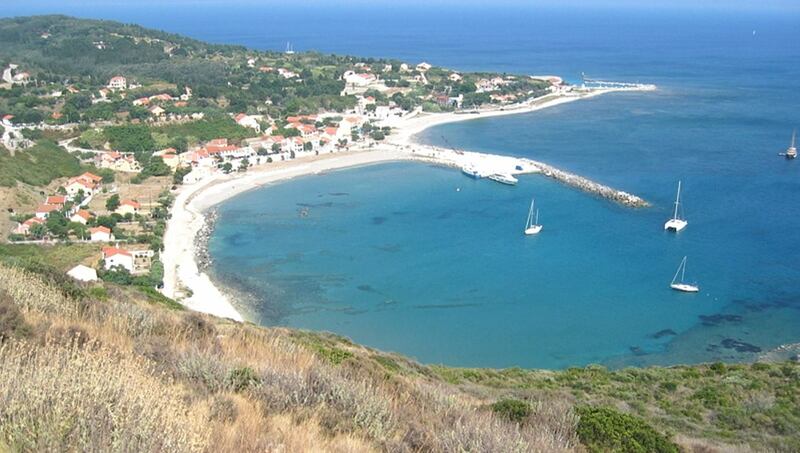 At the northern most promontory (Agios Spyridon) lies the 12th century monastery of Theotokos. The Monastery stands on a sheer hillside full of wild trees and olive trees facing the deep blue sea. In one of the cells in the monastery, a museum has been founded where holy and precious relics of the monastery are housed. Magnificent views are obtained from both the monastery and the hills above, particularly from the village of Lakones. Going south we will pass close to Korission Lake, the largest lagoon in Corfu Island, part of a nature reserve with sand dunes, unique wild beaches, diverse plant and bird species. And than we are in the very south part of the island, from there there is the possibility to visit the islands of Paxoi and Antipaxoi. The south eastern part of the site includes Molos first and Petriti than, little and quite villages. We are about close back to Corfu village, where we started our example tour, on the way going there are several location where we may stop.